FIBER is happy to partner with the wonderous Ja Ja Ja Nee Nee Nee online radio. Together with the team we’ll create a selection of early morning coffee introductions, midday talks & sounds and late afternoon reflections. Expect a wide variety of festival guests who will gives us insights in their work, research, inspiration and share their provoking thoughts. Ja Ja Ja Nee Nee Nee is online radio dedicated to the arts. The team broadcast and produce talk shows, discussions and lectures at art institutes and events. Ja Ja Ja Nee Nee Nee is also an online space for audible works of art and sonic residues of artistic research, installations and performances. 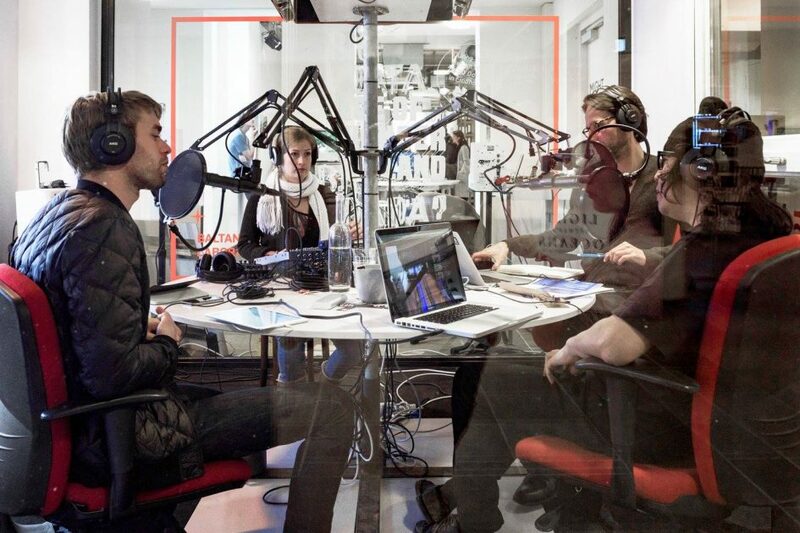 Their broadcasts offer an intimate space for reflection on artistic practices and communities. They’re based in Amsterdam, but like to travel. How can we relate to matter when we focus on our ears? A conversation with three artists working with sound. What does the next generation of artists have in store for us? How can the age old divination techniques of tarot reading prepare us for the future? What role do art fairs and festivals play in the development of emerging talent? The editors of Ja Ja Ja Nee Nee Nee are Femke Dekker, Reinier Klok, Arif Kornweitz and Radna Rumping. Ja Ja Ja Nee Nee Nee was co-founded in 2015 by Orpheu de Jong, Arif Kornweitz and Radna Rumping.